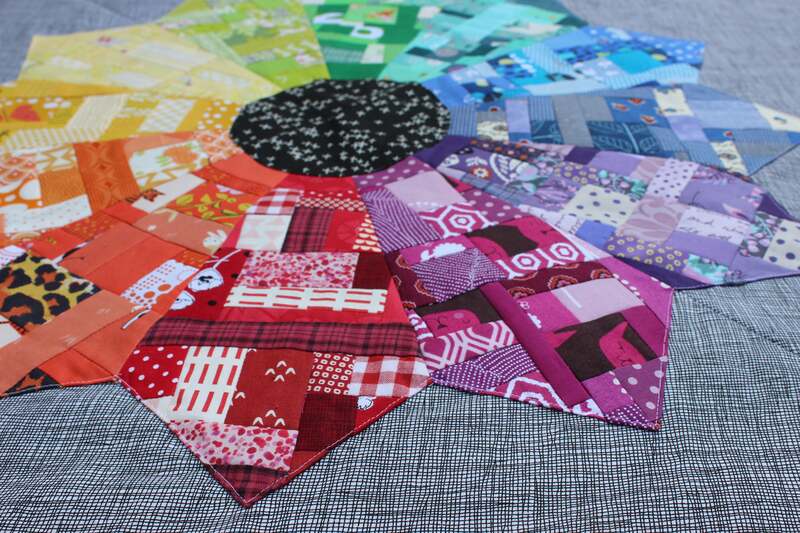 I’ve already made up at least a quarter of a new quilt; I finished up 8 sets (including the fabric slabs) in about four hours this afternoon. If you used the one fabric for the geese, imagine how quickly a whole quilt would come together… Too many ideas, not enough hours to make all the quilts! 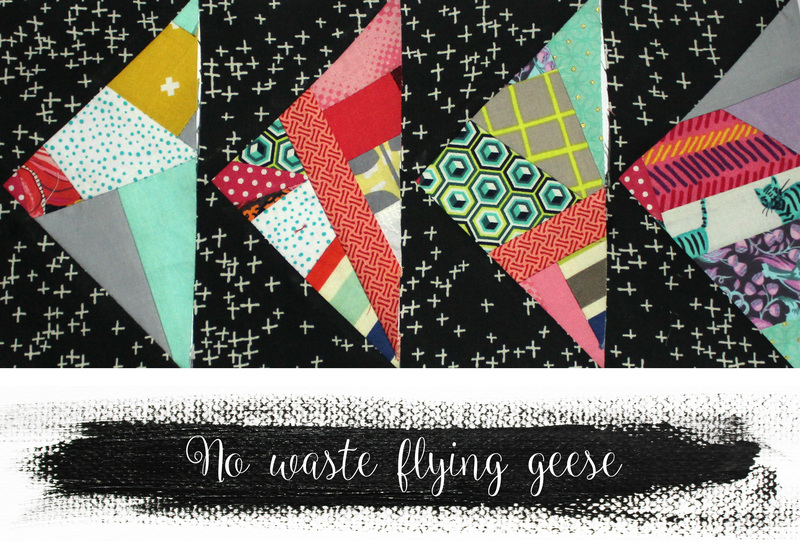 Flying geese can be made in several ways – but the no waste flying geese tutorial makes four geese units at a time quickly and easily, with no fabric waste. You don’t need any special gadgets to make them up either, so that’s another bonus! Warning these geese are addictive! 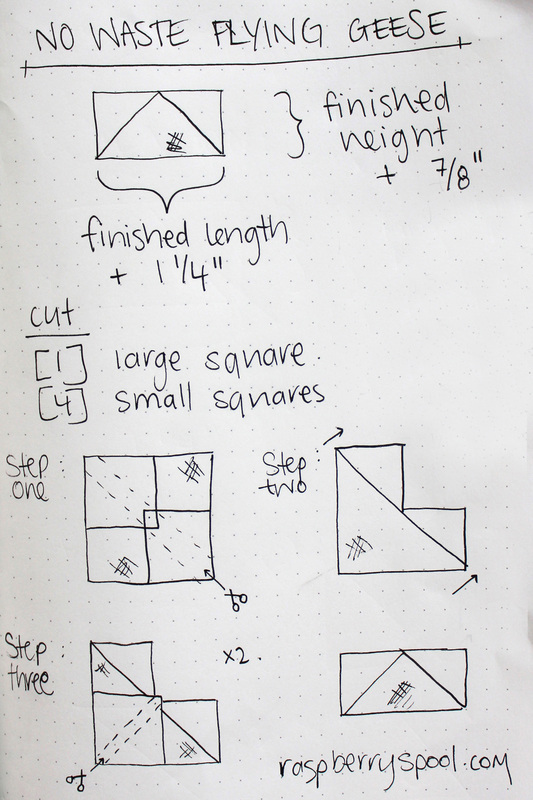 My geese are large (perfect for showing off the fabric slabs), but you can use the calculations to make any size. Just remember, flying geese are always twice as long as they are high and the calculations are based on the finished size. Draw a diagonal line on the wrong side of the small squares. 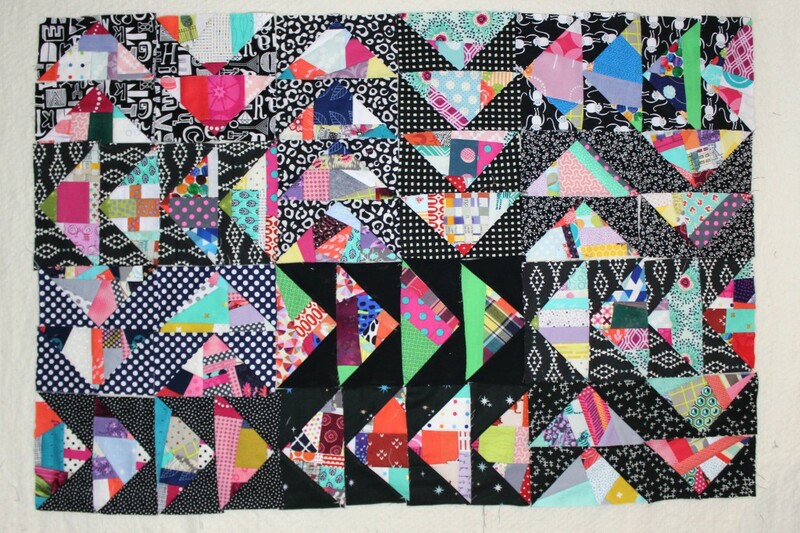 Lay these down on opposite corners of the large square, overlapping them in the middle. 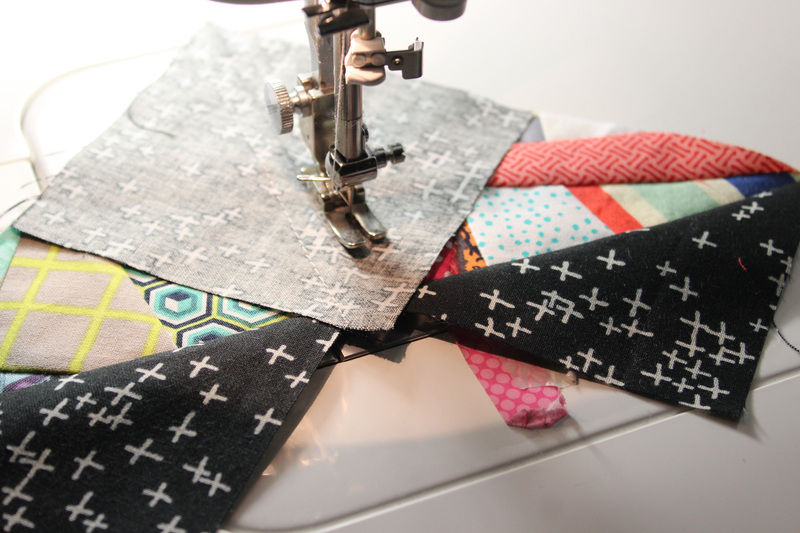 Sew down a 1/4″ on either side of the diagonal lines. Slice through the middle, using the drawn lines as a guide. Press the units, pressing the seams towards the triangles. Lay a square down in middle of the unit (on the corner of the original square), overlapping them in the middle. 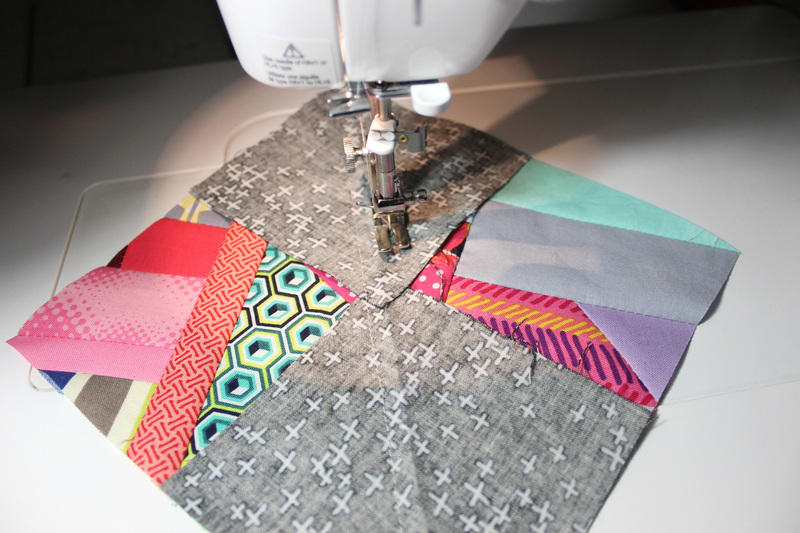 Sew down a 1/4″ on either side of the diagonal lines. Slice through the middle, using the drawn lines as a guide. Repeat to complete all four geese units. Step five: Snip the little corners off to trim up the block. Told you they were addictive! *This post contains affiliate links. This means that I will be compensated if you purchase anything after clicking through. Using my affiliate links supports me and this blog! ← Sunday stash and a giveaway! 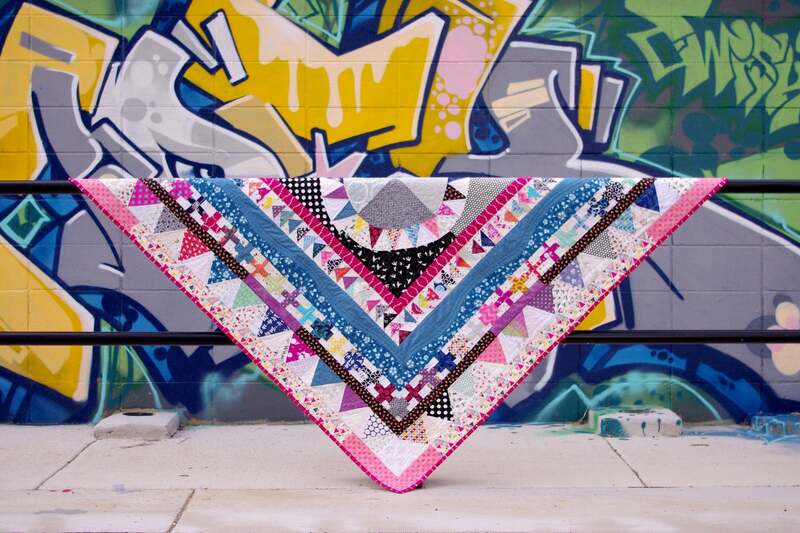 Love your fabric slabs and geese! 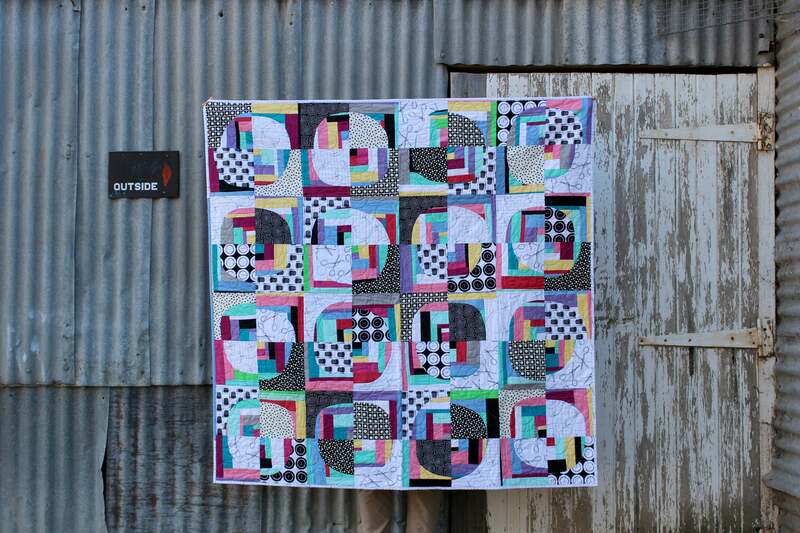 The fabric slabs with the black & white fabric look fantastic! 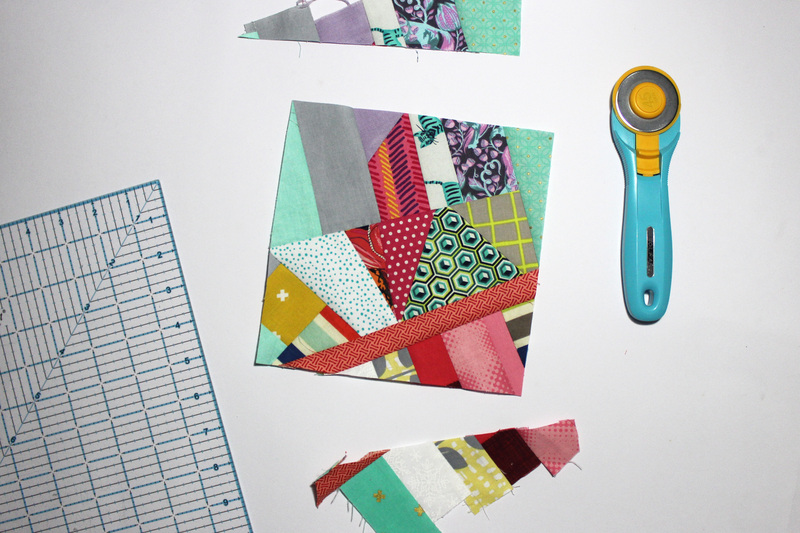 Do you have a tutorial for making your fabric slabs? Not yet – but keep your eye out as there will be one coming soon! This is a fantastic idea! 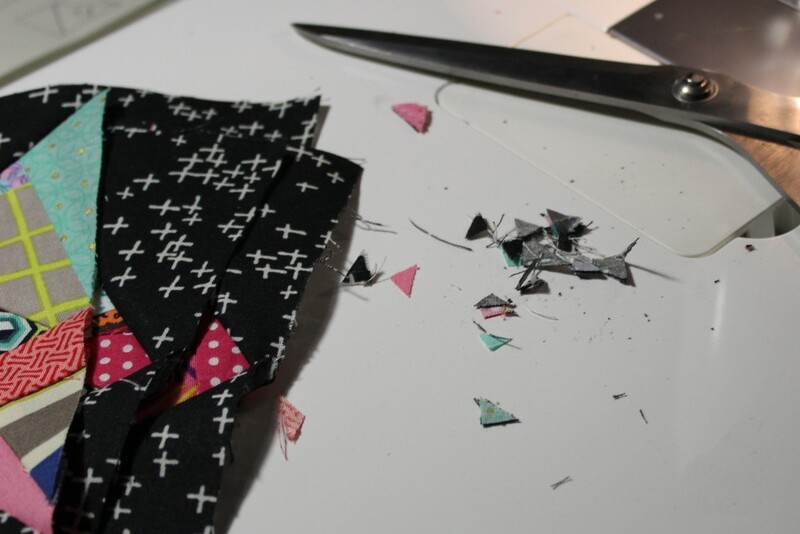 I have a lot of scraps that I stitch together and I’m going to have to give this a go. Thanks for sharing a great idea.